Have you ever hated traveling because it's just way too much trouble to get ready?? That's where I've been for several years. I would just cringe when my husband even mentioned anything about spending a night away from our home. Cross-contamination, allergy-friendly pots & pans, gluten-free food, dairy-free food, sugar-free food, egg-free food, allergy-friendly spices -- all of that would pop into my head all at once!!! It would freak me out!!! Oh, and that doesn't count any medicines we would need to take that are allergy-friendly just in case the kids get sick. This is why I resorted to essential oils, homeopathic medicines, and Colloidal Silver. Those three things takes care of about all the medicine anyone would ever need. Heaven forbid anyone try to research every possible side effect of a prescription medicine and how it would affect kids with allergies, digestive issues and possible autoimmune problems. Forget it!! It's impossible!! I tried it!!! So, to keep from going completely crazy with packing all this stuff - I had to narrow it down and make it more manageable. 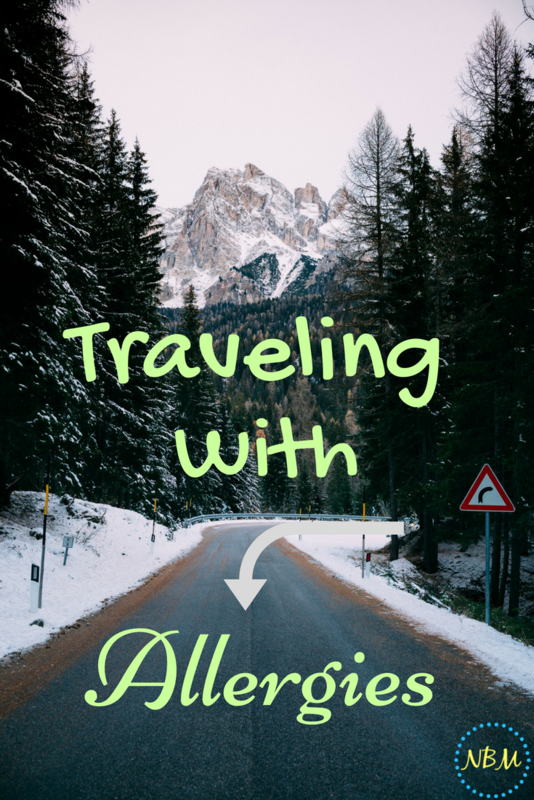 Here are a couple of steps I used to make it work for us and still be able to go on vacations and our mini-get-aways. Start planning the vacation menu a week before leaving. Write down each meal and the ingredients that meal requires. I even list the spices. So many times it's hard to find gluten-free (allergy-friendly) spices when travelling so I carry those with me in a small container. Make several meals ahead of time. I like to make breakfast foods since those are the hardest if you have a child that cannot eat gluten, dairy, or eggs. Plus, this saves money. If you make the breakfast, you don't have to buy the expensive allergy-friendly cereal. We like to make granola, dairy-free enchiladas, and Chicken & Potato Casserole. The enchiladas and the casserole can be frozen. Always travel with an ice chest. We use the ice chest to store any duck eggs (our daughter is allergic to chicken eggs), fresh vegetables that might wilt, or lunchmeat (allergy-friendly) that we might need on the way. The ice chest is perfect for storing our made-ahead meals that can start thawing. Never leave without a few cans of food or freeze-dried food. 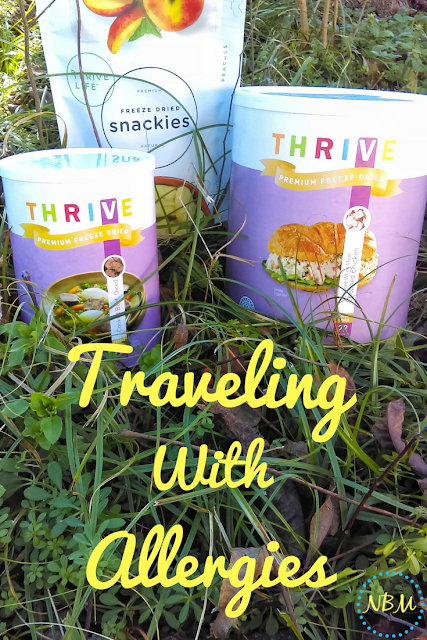 Canned food and freeze-dried foods have been the life-saver for us on many trips. Several times, we have completely run out of food from our ice chest and I had to grab a few cans of food in order to cook dinner. Canned food is not something we do every day but this works when there is nothing else. We also buy freeze-dried foods from Thrive. Our daughter loves this brand!! The freeze-dried beef and corn are delicious!!! So, we have to pack those!! Remember your last-minute, hard-to-find, allergy-friendly items. I've always had problems purchasing these items when we travel. They are about impossible to find in remote areas. 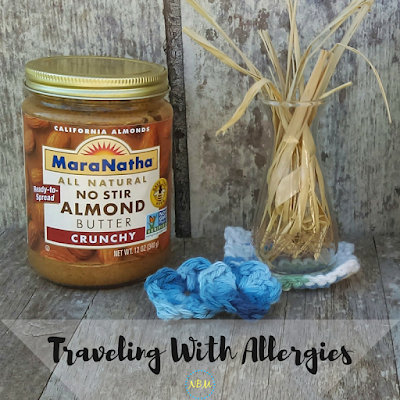 By using these tips, maybe it will eliminate some of the stress of vacationing and traveling for those of who have severe allergies. It may take a couple of times to get used to the idea of traveling with these extras but it's worth it. All stores do not have everything we need. It's quite frustrating having to shop in a new store and trying to find an exact item. Most of the time either it can't be found or it's double or triple the normal price. You can actually enjoy the trip without having to worry about finding every single item before you're able to eat an allergy-friendly meal!!! Enjoy & Have Fun On Your Vacation!!!! 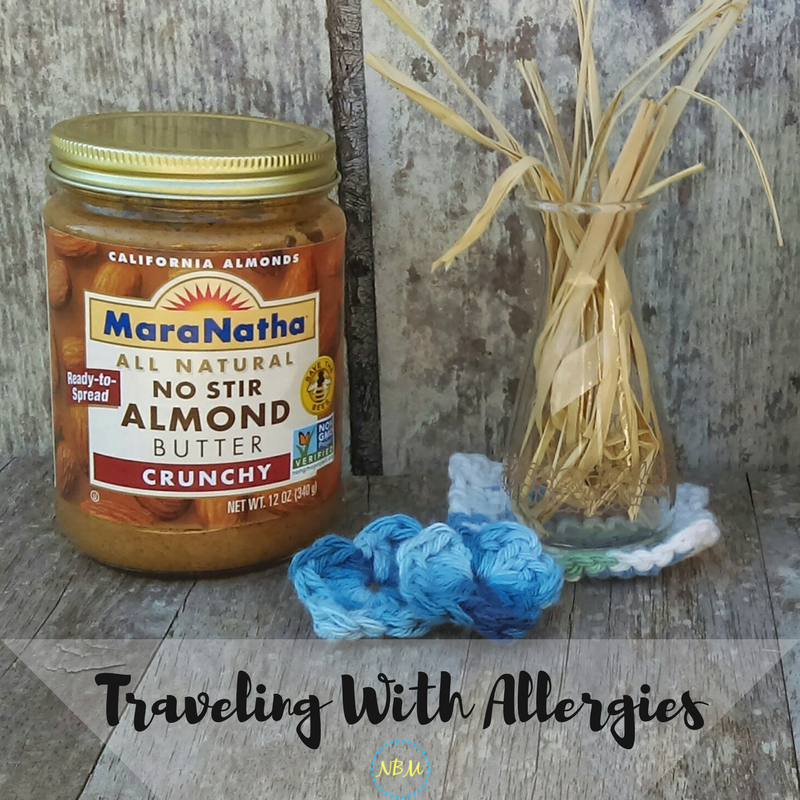 Is traveling with allergies stressful to your family? What steps do you take to have an enjoyable vacation? I have a lot more allergy tips and recipes on my Gluten, Dairy, And Egg Free Pinterest Board! !